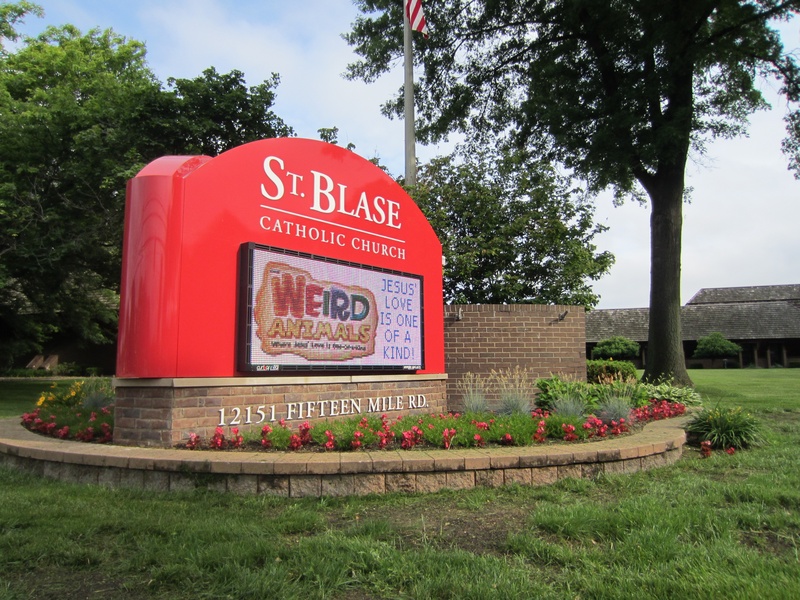 Blackhawk Bank and Trust of Rock Island, IL was searching for an LED sign to improve their company image, create rapport with their community, and advertise their business offerings in an effective way. ACME Sign and Electro-Matic Visual collaborated and supplied the needed materials and services to accomplish Blackhawk Bank and Trust’s goals. 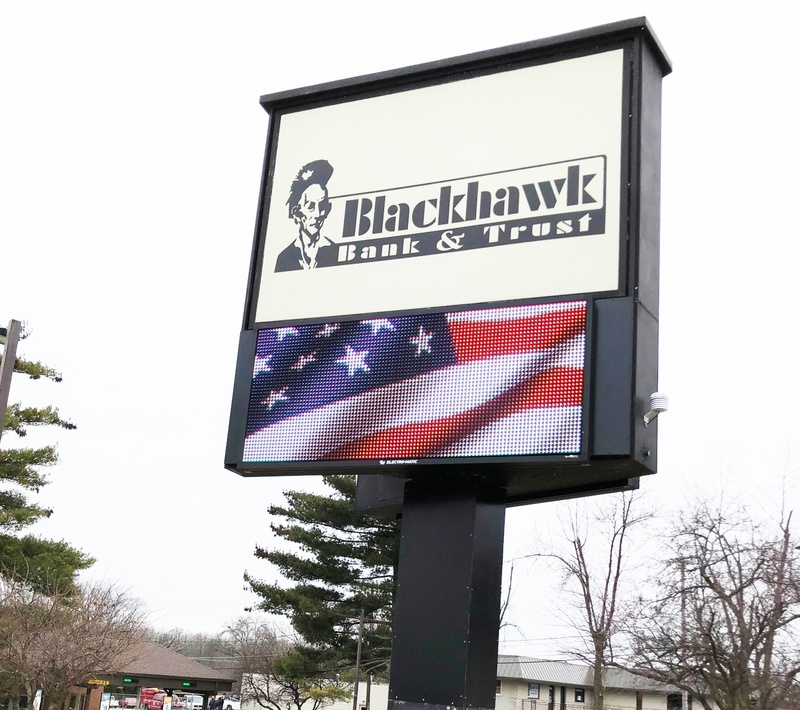 The 16mm, 60x144, LED display will serve as Blackhawk Bank and Trust’s personal billboard for many years to come. They can now easily communicate with their community on any of their offerings like: eBanking, financial services, loans, credit cards, personal IRA’s, Personal saving accounts, and much more. 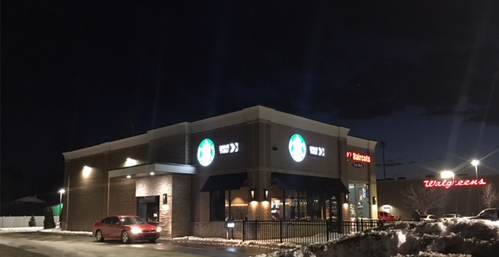 The new LED sign will give them the exposure they need to connect with their community and drive in more customers. ACME Sign chose to use an Electro-Matic Visual Fusion electronic message center to complete the project. ACME has chosen to use an Electro-Matic Visual LED Sign in past projects as well. What ACME sign enjoys about Fusion LED Signs from Electro-Matic Visual is the combination of tech support, image, maintenance and response time. Electro-Matic Visual looks forward to future projects with ACME Sign and providing solutions for more companies like Blackhawk Bank and Trust. 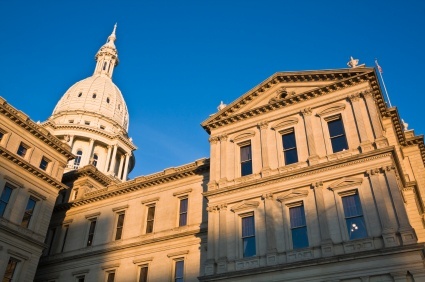 Joymar Inc. is the parent company to three different car washes in West Michigan. Featured in this success story is Jenison Car Wash, located in Jenison, MI and just south west of Grand Rapids. Jenison Car Wash and general manager Greg Russo, chose Electro-Matic Visual to add a Fusion LED display to consistently attract more customers and to stay competitive. Jenison Car Wash believed that static signs and traditional reader boards, like they had before, was just too much of a nuisance and were not effective. Having an employee change a static sign daily, or weekly, is time consuming. Jenison was seeing that they were spending too much time manually changing their reader board for a message that was getting overlooked. 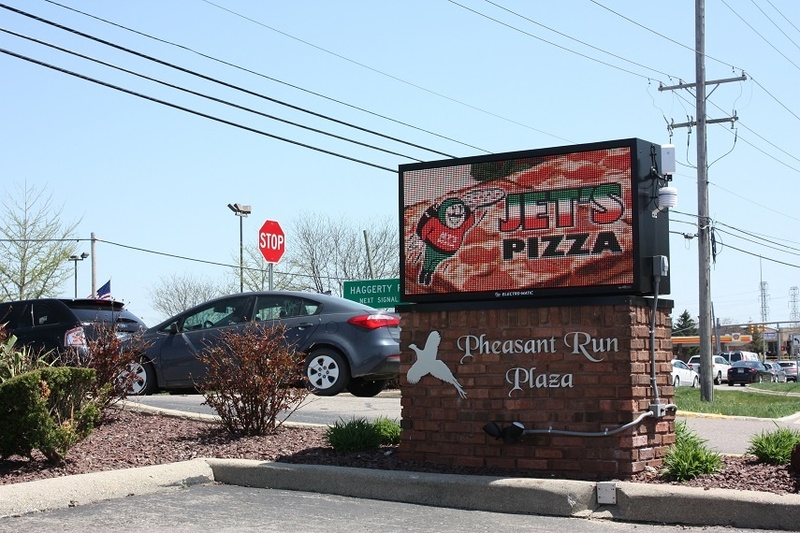 From a competitive standpoint, Jenison Car Wash felt that adding an Electro-Matic Visual Fusion LED display would separate them from potential competition. 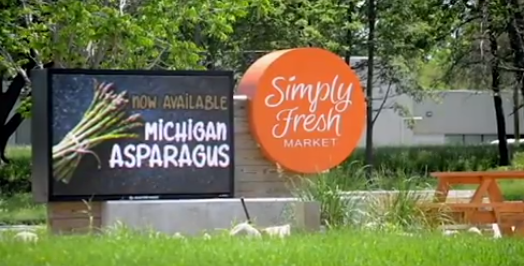 An LED sign gives businesses the opportunity to have an attractive, modern look while connecting with passing traffic. 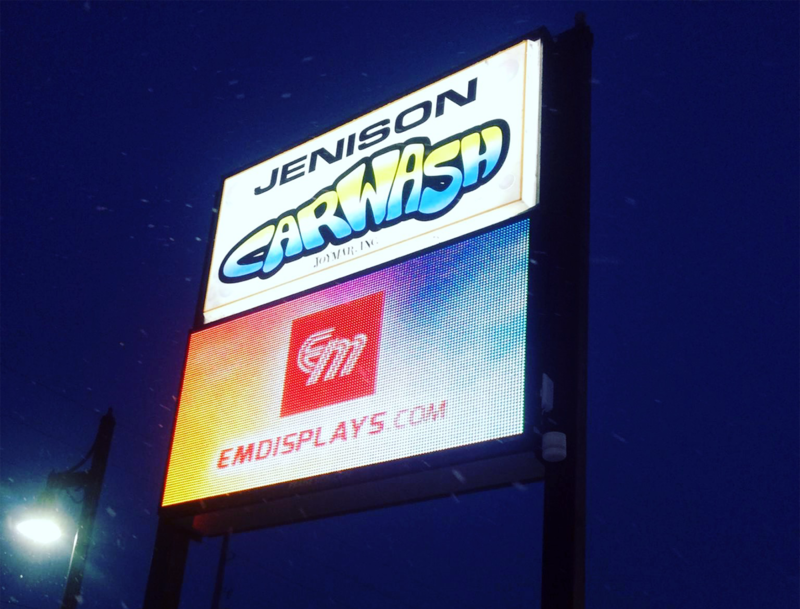 Because of what Electro-Matic Visual’s provides and after the success that Jenison Car Wash has had with their LED display they are expecting to add one to their Cascade location. Culver’s is a well-known restaurant that is especially popular in the Midwest with the original location residing in Wisconsin. Culver’s now has 649 locations around the United States. The Culver’s in Lake Zurich, IL wanted to add an LED sign and looked to Electro-Matic Visual to provide the solution. Electro-Matic Visual has provided over 100 LED sign solutions for Culver’s restaurants across the mid-west, making Electro-Matic Visual the best fit for the Culver’s of Lake Zurich. A 16mm Fusion full color LED display was installed for Culver’s of Lake Zurich to promote their delicious “flavor of the day” custards, pressed and seared Butterburgers, premium chicken and other mouth watering deals. 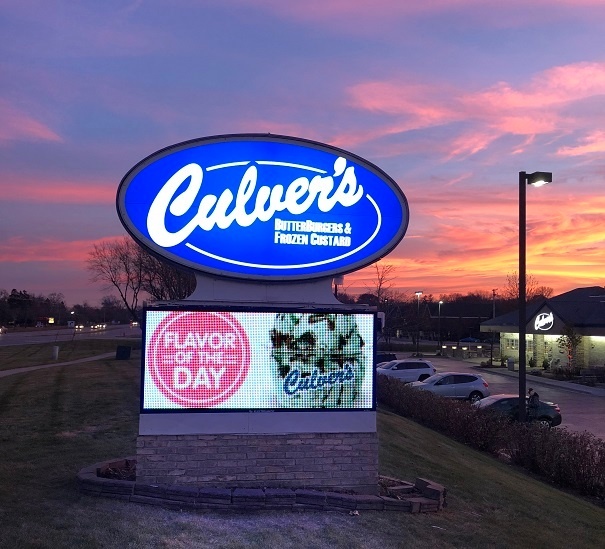 The Culver’s of Lake Zurich will not only get to enjoy their new eye-catching LED display, but they will also take advantage of Electro-Matic Visual’s Media Services Library that is full of pre-made content. The Media Services Library gives LED sign owners the luxury of having free compelling content on their sign at their luxury. Culver’s has many different promotions that would take a large amount of energy and time to promote in traditional ways. Now the Culver’s of Lake Zurich, with their new LED sign, will be able to easily promote their great tasting deals at the pace that they require. How Long Do LED Signs Last? How long do LED signs last? To answer that question, it’s important to determine the type of sign, the construction and conditions surrounding the sign. Read on to see how to extend the life of your LED sign and how long you can expect your LED to last. Staying busy is a good thing; it usually means your business is doing well. However, finding time to accomplish small tasks throughout the day becomes difficult, to say the least. There are many ways to save time with digital signage, allowing you to accomplish small tasks during the day faster, and as a result, increase your productivity. What Size LED Sign Do I Need for My Municipality? You have decided that an LED sign is in the future for your municipality. After all, what better way is there to announce community events, welcome visitors, and say thanks to public servants and municipal employees? 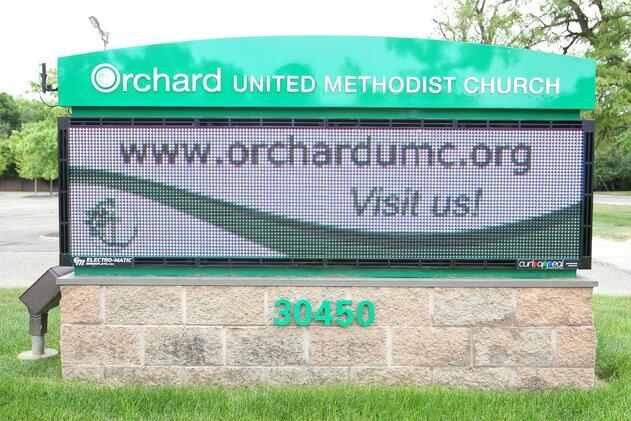 The right LED sign size is essential to making your sign effective. So not surprisingly, "What size LED sign do I need?" is usually among the first questions we hear from municipalities we work with. If this question is on your mind, you are in the right place. 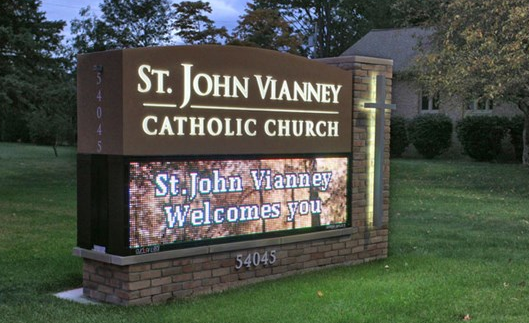 When considering what size LED sign makes sense for your municipality, you will want to start by considering budget, content, and location.